Cardiovascular disease (CVD) is a major cause of mortality in people with rheumatoid arthritis (RA) – a long-term autoimmune disorder that causes pain, swelling, and stiffness in the joints. People with RA have around a 50% higher cardiovascular risk than those in the general population. Given that dyslipidemia plays a central role in CVD, it might be expected that RA patients would therefore have a high-risk lipid profile, involving raised total cholesterol and low-density lipoprotein-cholesterol (LDL-C). But, in recent years it has become evident that the opposite is actually the case. Patients with RA in fact have a lipid profile characterized by reduced total cholesterol, LDL-C and high-density lipoprotein-cholesterol (HDL-C). Such a lipid profile is normally associated with a protective effect against CVD. Furthermore, successful treatment in RA has previously been found to result in increased lipid levels. So what are the reasons for this so-called “lipid paradox”? In a recent study by AbouAssie et al, researchers used an NMR lipid-profiling technique to explore which factors, in terms of inflammation, disease activity and cardiometabolic risk, make the greatest contribution to the lipid profile seen in RA patients. They studied blood serum samples from 50 patients with RA, 39 of whom were matched to a control on the basis of body mass index. 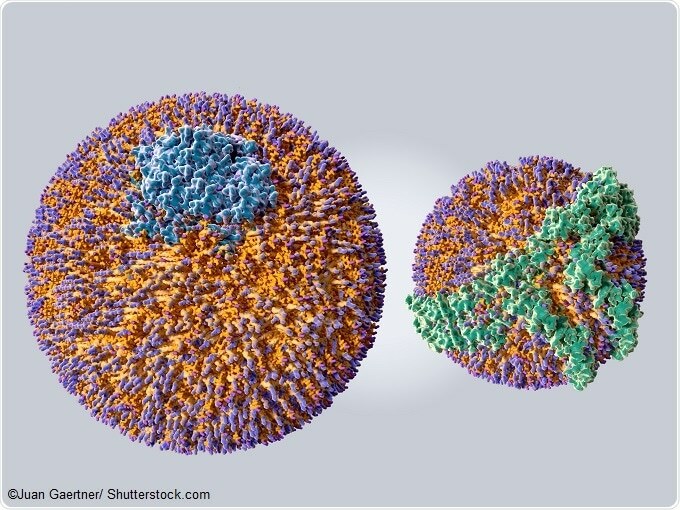 They obtained total cholesterol, triglycerides, LDL-C and HDL-C through standard automated methods, while the NMR profiling approach allowed them to calculate lipoprotein particle sizes. The team found that, overall, their findings reflected those of earlier studies – patients with RA had lower levels of total cholesterol and LDL-C than controls. But this wasn’t the only way that the RA patients’ lipid profiles differed from the controls. 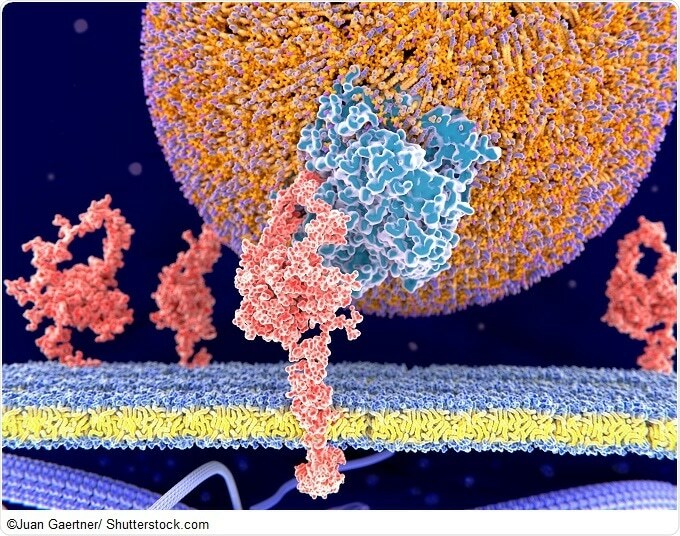 The NMR measurements also showed that patients had fewer small LDL particles (LDL-P), something that has previously been linked to disease activity and coronary artery calcification in RA. They also had lower concentrations of total LDL particles but larger LDL- and HDL-particle (HDL-P) sizes, which is also consistent with previous research. The researchers then performed regression analyses to find out if there were any significant associations between these features of patients’ blood serum profiles and factors such as disease activity, disability, inflammation and physical activity levels. They found that pain and disability were significantly associated with having fewer small HDL-P, and increasing levels of inflammation were linked to reduced LDL-P size. Measures of body composition and insulin sensitivity, including BMI, waist circumference, abdominal visceral adiposity and insulin resistance were also associated with have more total and small LDL-P, fewer large HDL-P, and reduced HDL size. But the most interesting finding was that spending more time in a state of low physical activity and spending less time exercising were both independently associated with having fewer small LDL and small HDL particles. With an increasing time spent in inactivity, patients were more likely to have an unfavorable HDL profile, including less small HDL, fewer total HDL-P and an increased mean HDL size. And conversely, a greater amount of time spent exercising had the opposite effect on HDL profile. The researchers noted that, while HDL profiles were associated with pain and disability, they were not related to levels of inflammatory cytokines. This points away from the HDL profile in RA being mediated by inflammation and instead, the researchers say, to a role for exercise and physical inactivity. The team, who reported their findings in Lipids in Health and Disease say that the results demonstrate a need for research in patients with RA to see if reducing sedentary time as an intervention results in changes to lipoprotein profiles and overall cardiometabolic health. For their NMR-based experiments, AbouAssie and colleagues used a Bruker 400 MHz spectrometer with an integrated fluidics sample delivery system. The latest Bruker Avance™III HD NanoBay NMR device is the most highly integrated broadband NMR spectrometer, and its compact design means that even the smallest labs can benefit from its state-of-the-art functionality. The NanoBay incorporates Bruker’s latest Avance III HD spectrometer, as well as Bruker CryoProbes, which have allowed major gains in NMR sensitivity. Meanwhile, high-throughput experiments are facilitated through Bruker’s Icon NMR automation interface, providing labs with a range of customizable automation options. AbouAssi H, Connelly MA, Bateman LA, et al. Does a lack of physical activity explain the rheumatoid arthritis lipid profile? Lipids in Health and Disease 2017; 16: 39. Choy E, Ganeshalingam K, Grete Semb A, et al. Cardiovascular risk in rheumatoid arthritis: recent advances in the understanding of the pivotal role of inflammation, risk predictors and the impact of treatment. Rheumatology 2014; 53: 2143-2154. Liao KP, Liu J, Lu B, et al. Association between lipid levels and major adverse cardiovascular events in rheumatoid arthritis compared to non-rheumatoid arthritis patients. Arthritis & Rheumatology 2015; doi: 10.1002/art.39165. Myasoedova E, Crowson CS, Maradit Kremers H, et al. Lipid paradox in rheumatoid arthritis: the impact of serum lipid measures and systemic inflammation on the risk of cardiovascular disease. Annals of Rheumatic Disease 2011; 70: 482-487.